We are a small independent gift shop located on the Isle of Berneray, North Uist. We stock a range of gifts from local handmade Hebridean products to souvenirs, selection of greeting cards & local photograph items such as coasters, mugs, keyrings etc and also stock a wide range of nautical / island themed items. We also have a takeaway hot drinks machine. Summer opening times - Monday to Saturday, 10.30am to 5.00pm. Eilidh is the owner of Coralbox Gift Shop, a small wooden shop located on the Isle of Berneray, North Uist. Berneray is approx. 2 by 3 miles and has a 3 mile long white sanded beach that backs onto Machair land, which has some of the best flora and fauna in Scotland. 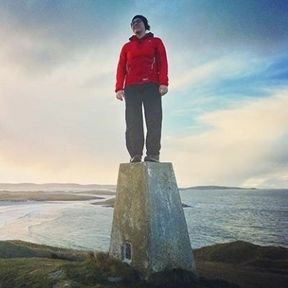 Berneray is connected to North Uist by causeway and South Harris by ferry and is located in the middle of the 140 mile chain of islands, which make up the Hebrides.